Bear Lake Lodging is Bear Lake Valley's premier lodging and accommodation provider servicing both Utah and Idaho. Bear Lake Lodging is Bear Lake Valley's premier lodging and accommodation provider servicing both Utah and Idaho. We are the only family owned and operated company left in Bear Lake and determined to provide quality cabin, townhome, and condo rentals for our guests. Bear Lake Lodging has the largest selection of privately owned cabins, townhomes, and condos in the Bear Lake Valley. 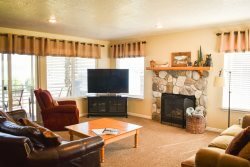 Our vacation rental selection ranges from a one bedroom condo in scenic Harbor Village to a seven bedroom deluxe cabin and everything in between. Whether you are looking for that perfect vacation get away for a quiet weekend or planning your family reunion, we are confident that we can provide the perfect rental property for your group.